Alex is a free software developer. He has started to contribute to the openSUSE project in 2008 (at the same time he started work at Novell/SUSE in Nuremberg/Germany). 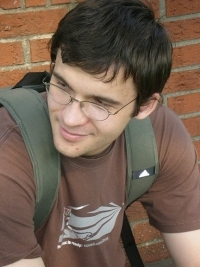 Since 2008 Alex was one of the core-members of the Russian openSUSE community. His contribution included support of new Linux users in IRC and on forums, translate official openSUSE documentation, beta testing, packaging, writing technical articles, motivate other contributes to hack and make free software better. He initiated the creation of the official openSUSE Russian forum and Russian openSUSE planet. He is also administrator and initiator of the ru.kernelnewbies.org. In 2011 Alex left the Russian part of the openSUSE community after disagreements over its development and clash with other members. He handed over the moderation of the forum to other openSUSE members. Since 2012 its contribution to openSUSE is mainly limited to the beta testing (submitting bugreports), writing some short technical articles and maintaining security and network repositories in OBS. Alex obtained a BSc in Computer Science and works for FRANKA EMIKA (Munich/Germany) as a software developer. You can meet him at every openSUSE conference or FOSDEM. This page was last modified on 25 January 2019, at 23:41.